It’s been a stellar season for rookie Chase Briscoe. The 21-year-old driver out of Mitchell, Ind. has four wins and five poles in 17 starts and a massive 495 point lead over Tom Hessert in the championship standings with three races remaining in the season. 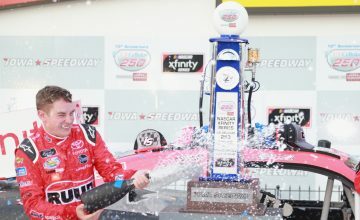 With two of the four victories coming at Winchester Speedway and Lucas Oil Raceway in his home state of Indiana, Briscoe really wanted the win at Salem Speedway in the 100th running of an ARCA race at the historic track. The 0.555-mile Salem is less than 25 miles from Briscoe’s hometown and a plethora of fans sporting No. 77 t-shirts were at the track. Briscoe was quickest in practice and when qualifying was rained out, his No. 77 Big Tine Ford started on the pole and was fast from the drop of the green flag. Briscoe led the first 111 laps of the 200-lap race, but fell victim to pit strategy and tire management. With teams allowed just six tires for the race, the majority of team’s chose to take two tires on their first pit stop of the night at Lap 52 and save their four General Tires for the final stop. Eventual race winner Christopher Bell took four tires on the early stop and it proved to be the winning call as the race would go green for the next 108 laps. While Briscoe took his four tires on the final stop, the No. 77 Ford was already a lap down and wasn’t able to recover. 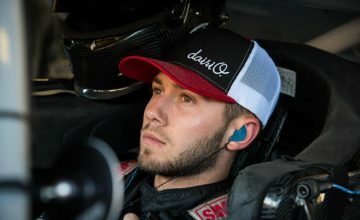 Despite Briscoe’s disappointment in the finish at Salem, the race was just his 17th on pavement in a stock car as he continues to learn each time he climbs behind the wheel. Salem marked the completion of the short-track portion of the ARCA Racing Series schedule and Briscoe earned the first of what will be several awards this season when he took the green flag. 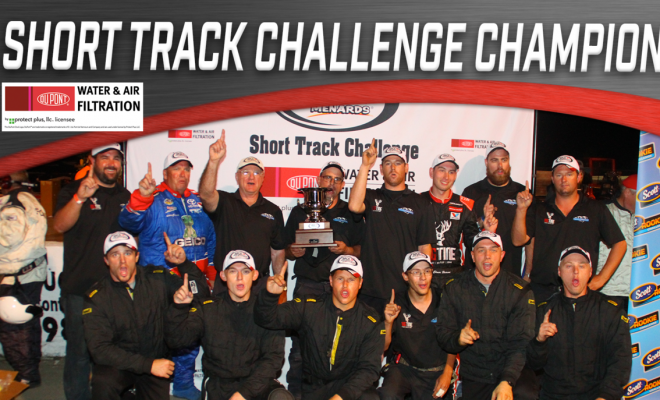 The Short Track Challenge championship presented by Protect Plus is another championship within the overall season championship, an accumulation of points from all of ARCA’s short tracks, deemed one mile in length or less. Briscoe beat Hessert by 135 points. “That’s definitely a big deal,” Briscoe said. “For me to win the short track deal, that’s something I really thought I’d struggle with early this year and I honestly did earlier in the year. I didn’t know how to save my tires or anything. 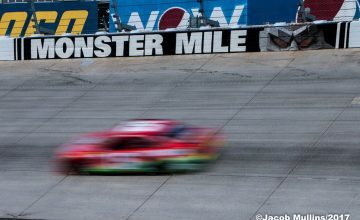 “We really buried ourselves early in the year after the first Salem race and Nashville we had two really bad runs. I remember we had a team meeting a couple of weeks after that and put our heads down to try to figure out how we could win this short track championship. Up next for Briscoe is ARCA’s Bill France 4 Crown championship which will be determined in Thursday night’s SCOTT 150 at Chicagoland Speedway. The four-race championship shows just how diverse the tracks are on the schedule and is comprised of the New Jersey Motorsports Park road course, the Lucas Oil Raceway short track, the DuQuoin State Fairgrounds dirt mile and Chicagoland Speedway for 2016. Briscoe leads Hessert by just 20 points, which is a mere four positions on the race track.